Senior Israeli minister warns Assad may be 'eliminated' if he continues to allow Iran to use Syria as base for attacks on Israel. 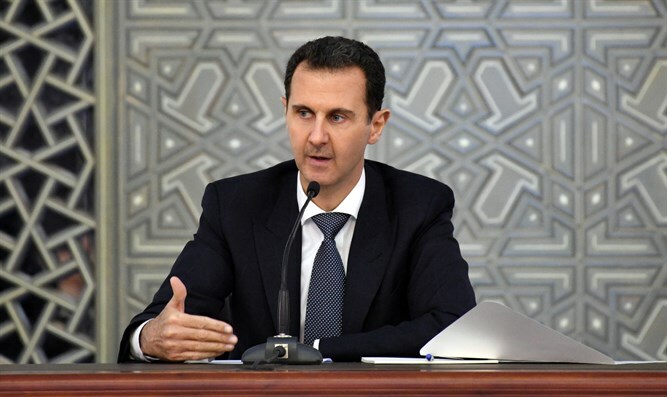 Israel may assassinate Syrian president Bashar Al-Assad, a senior Israeli official warned Monday, citing the Syrian leader’s relationship with Iran and approval for Iranian use of Syria as a base of operations against Israel. Speaking with Yediot Ahronot on Monday, Energy Minister Yuval Steinitz (Likud) warned that Israel might “eliminate” the Syrian dictator if he continues to allow Iran to use Syria as a launching point for operations against Israel. “If Syrian President Bashar Assad continues allowing the Iranians to operate out of Syria, Israel will eliminate him and topple his regime,” Steinitz said. Israel is widely suspected of being responsible for the April 9th airstrike against the T-4 airbase outside of Homs, Syria. The facility, used by Iranian forces in Syria, was used in the past for Iranian operations against Israel, including a February drone attack over northern Israel. Israeli aircraft shot down the drone, which Israeli officials later said was carrying explosives and had likely been en route to an attack against Israeli targets. On Sunday, it was reported that Israeli security officials believe Iran is preparing for attacks against Israel to “avenge” the April 9th airstrike. The reprisals would likely be launched from Iranian-controlled sites inside of Syria, and could include missile attacks on Israel. In response, Steinitz warned Monday that continued approval by the Assad government of Iranian operations from Syria against Israel would “spell [Assad’s] end”. Steinitz said the Syrian dictator would be held responsible for any attacks on Israel conducted from Syrian territory, either by Iran or the Hezbollah terror group. "Assad can permit them to attack Israel from Syria soil, or not. He can permit them to bring in missiles, antiaircraft systems and drones into Syria, or not, and if he does—he should know there is a price tag," Steinitz continued.